Hey guys! These 4 cards came from my very productive weekend! 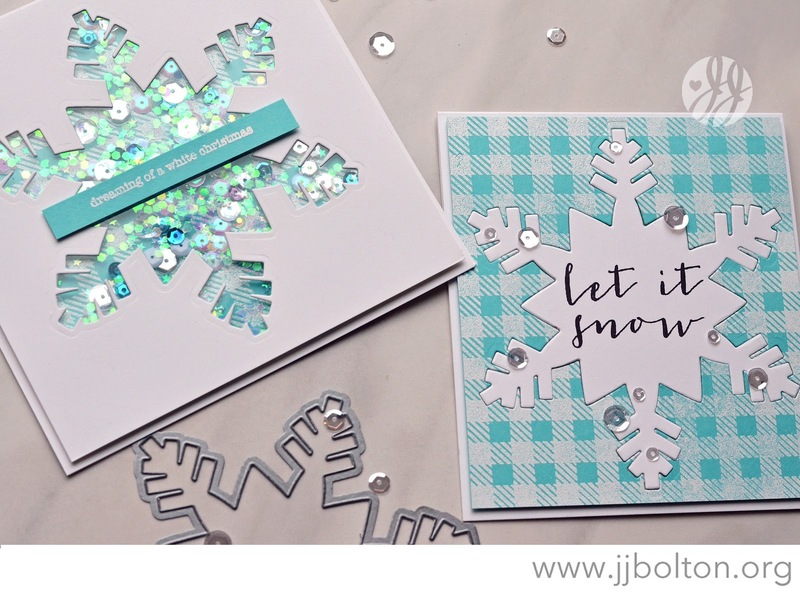 I have 4 coordinating snowflake cards using the awesome Concord & 9th Snow Flurry dies and Snow Flurry stamps. 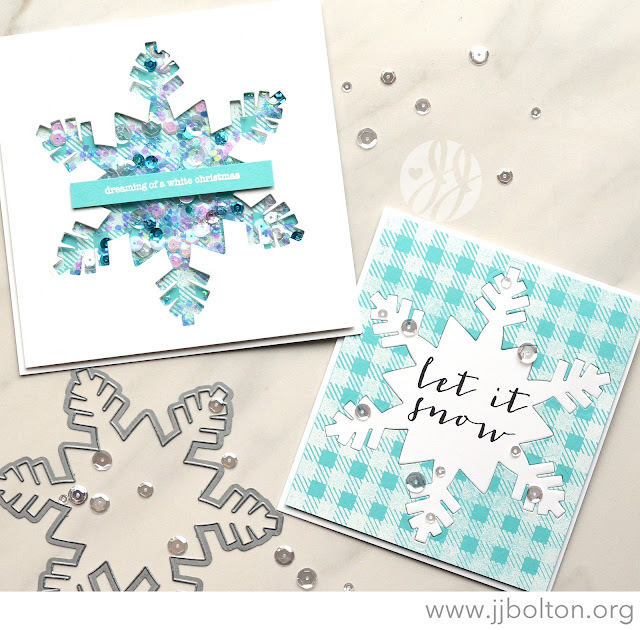 I absolutely love the oversized snowflake die! 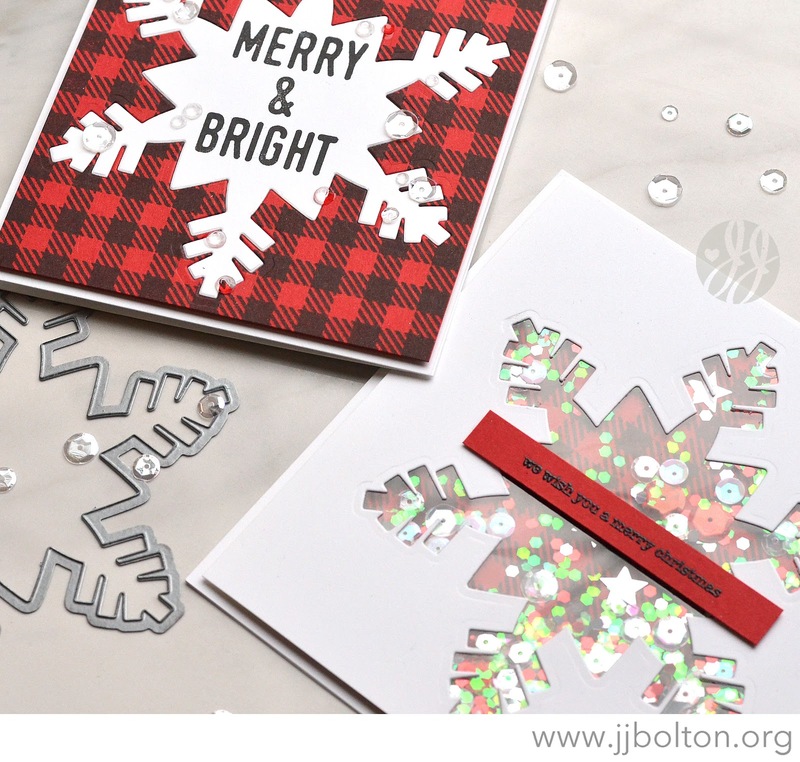 I used it to make 2 shaker cards and 2 inlaid die cut cards. 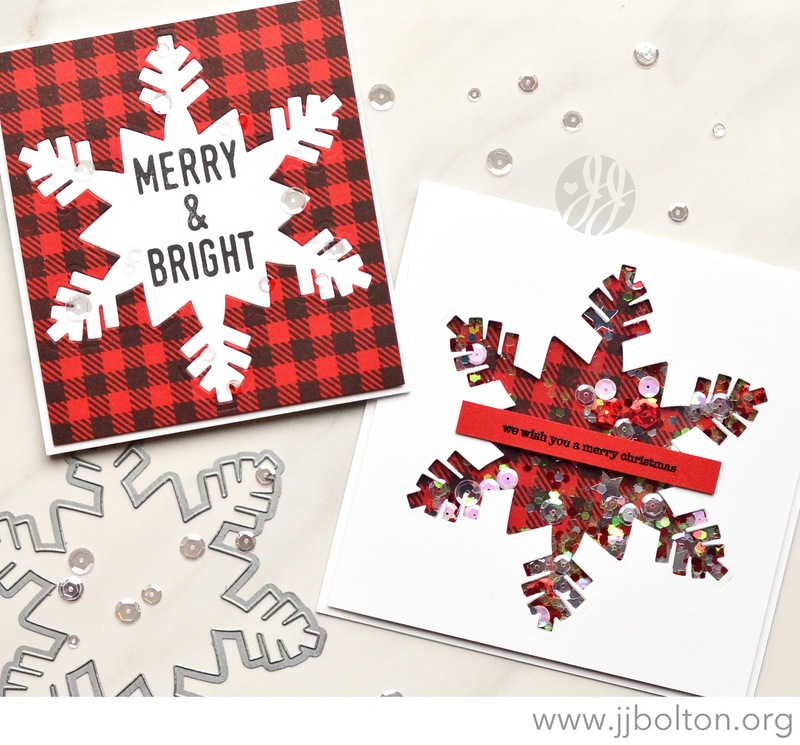 All of four of them have a fun stamped buffalo plaid too. These first 2 are the red versions. And here are the blue versions! Which ones do you prefer? I like the red ones. These give me ideas as to the how to use my plaid background stamp for Christmas! Thanks!